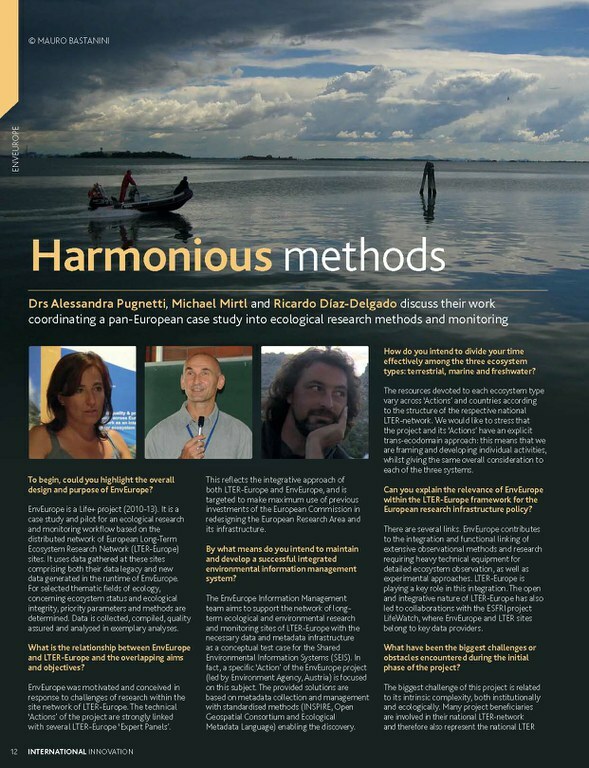 Drs Alessandra Pugnetti, Michael Mirtl and Ricardo Díaz-Delgado discuss their work coordinating EnvEurope, a pan-European case study into ecological research methods and monitoring. International Innovation is the leading global dissemination resource for the wider scientific, technology and research communities. With discrete publications covering Climate, Energy, Environment, Food & Agriculture, Healthcare, Nanotechnology and US Research.